If you go down to the woods today, will you see a Grizzly Bear or a European Brown Bear? What is the difference between a Brown Bear and a Grizzly Bear? The answer is not a lot really, the main difference is which continent they live on. The Eurasian (or European) brown bears and Grizzly bears are subspecies of the same species of bear, Ursus arctos. 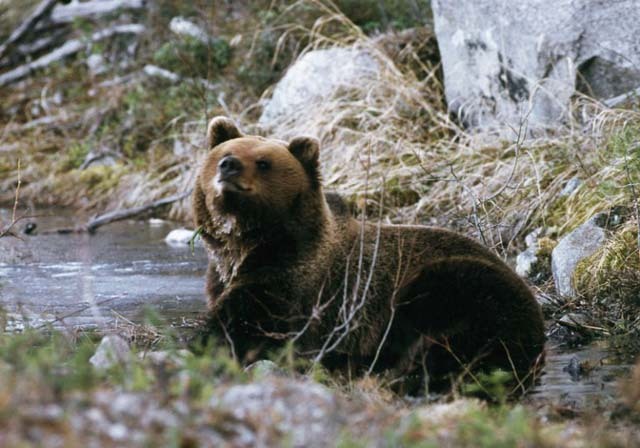 The name grizzly is used when referring to a number of different subspecies of brown bear found across North America including the mainland grizzly (Ursus arctos horribilis). Contrary to what you might think, the name grizzly did not arise because bears can be bad tempered but is actually to do with the lighter coloration of the ends of their hairs. How many Brown Bears are there in the world? There are thought to be over 200,000 Brown Bears distributed around the world with more than 100,000 of them thought to be living in Russia. It is estimated that around 33,000 Brown Bears are living in America and about 25,000 in Canada. In the whole of Europe it is thought there are approximately 14,000 Brown Bears. Whilst the Brown Bear as a whole species is listed on the ICUN Red List as “Least Concern” due to the large numbers globally, there are local populations which are under threat of local extinction. 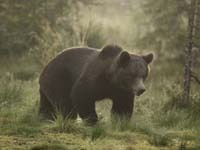 Will I see a bear whilst travelling in Scandinavian and the Nordic countries? 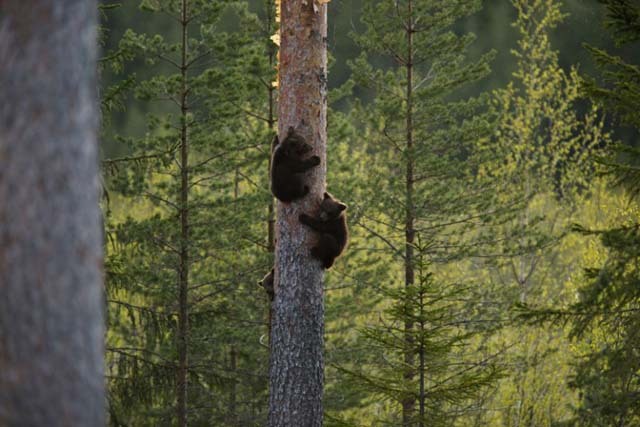 The population size varies greatly between the countries – for example in Sweden there are thought to be in the region of 2000 Brown bears, in Finland around 1200, whilst in Norway only around 136 individuals. 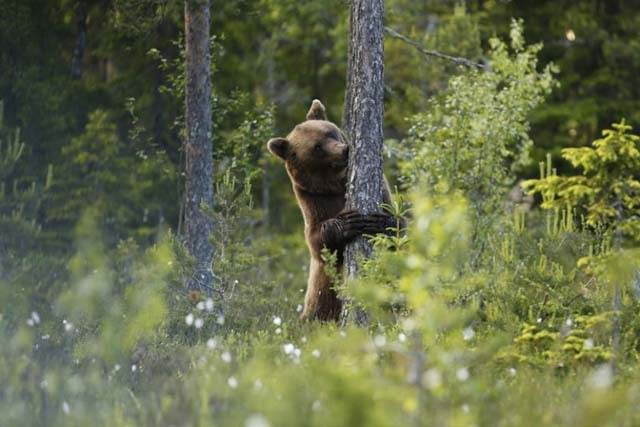 However, this doesn’t mean you are more likely to see a brown bear in Sweden than Norway, as in general Brown Bears are very shy, so wherever possible will avoid coming into contact with humans. Make yourself appear as big as possible. Back away slowly – never run! If a bear does attack – play dead, lie on the floor face down or in the foetal position (to protect your vital organs) with your arms over your neck. 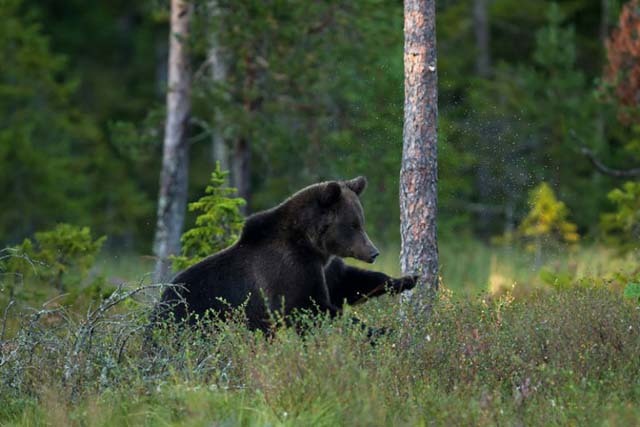 We don’t currently offer Brown Bear watching as an option in Sweden, though our Moose and Beaver Safari plus Howling with Wolves experience is an ideal way to see and find out about some of Sweden’s other fascinating mammals, and we can also advise on bear watching options in connection with this. 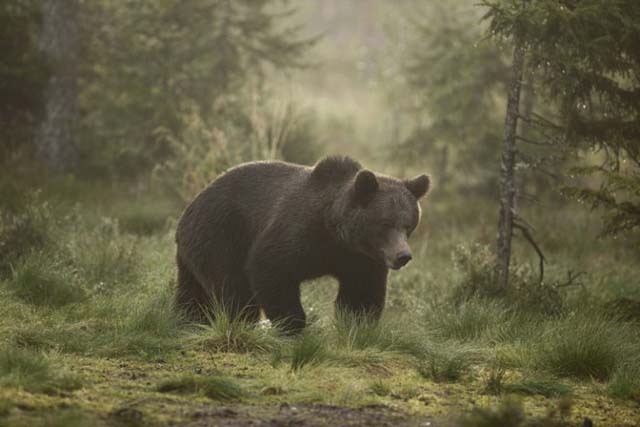 Our Hiking in the Finnish-Russian Borderland offers and optional extra Bear watching excursion! ← Backpack or Suitcase – Which is Better for Your Next Travel Adventure?